Dogs and Photography are two of my most favourite things in the world and I just love to combine them and photograph your furry friends. You could say I'm the crazy dog lady - Actually, make that animal crazy. I am totally obsessed. I only have to hear someone say the word 'dog' and my ears perk up. They are instantly my friend. I instantly ask for pictures of the furry canine, talk about their silly moments and laugh endlessly at the stories about the dog. If I pass one in the street, I always say hello. I am happy to admit that I am 'bonkers' about dogs. If you are reading this, chances are you are too, and would like your best friend photographed. I love to photograph your dogs on location, and wherever your dog feels most comfortable. I will search for the perfect location for you - perhaps a golden field, a picturesque woodland, park or forest, a bright city street, a calm peaceful lake, or coastal location. I'll look for big fluffy clouds, starlit skies or dreamy sunsets and I will capture your dog amongst the worlds natural beauty. Somewhere he can run and play, dig and explore. After all, this is what he loves to do best, and there is nothing better than capturing that sparkle in their eyes, the sunlight on their soft fur and the waggiest of tails when they see something exciting. I want to capture the silly moments, the goofy moments, the timeless memories. To me, a studio setting with a clean white background doesn't show off your dogs character and somehow they all end up looking the same. It can be unnatural and sometimes unnerving for your pet with so many studio lights and flashes. This is the reason I prefer to capture them outdoors, where they can go on an adventure. The outside world has endless possibilities for photographs. For me, it is all about your dogs natural behaviour in natural light. In order to capture the spirit of your dog, I will take photographs of them doing their own thing, as well as shots and portraits of them looking at the camera. I may ask you to bring along a selection of toys or treats so as I can take a variety of shots. Please don't think that your dog would be 'too naughty' or not 'obidient' enough for a photography session. Their natural behaviour is what makes them so special and it makes wonderful photographs. I have grown up with dogs and am able to interact with them however naughty they may appear. I have a few tricks up my sleeve. I will start the session by getting to know your faithful friend a little. A little bit of playtime and cuddles helps them to feel relaxed in my presence. If you have a nervous dog, I am happy to arrange a pre-meet session prior to the day of the photoshoot, at no extra cost. After the introductions, we will start the photoshoot at the beautiful location we have decided on together. 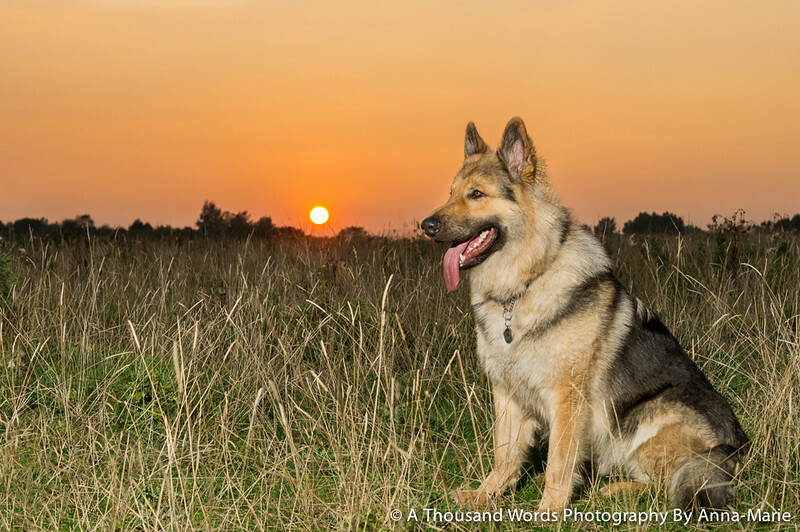 Pet Photography sessions usually last up to 2 hours, however these sessions are unrushed. Animals can be unpredictable and I will stay until I feel I have a variety of shots. Please bear in mind that the first 15 minutes will be mostly talking and getting to know you and your pet. (Lots of cuddles with your pet are involved at this stage! I enjoy these as much as your dog does). If your dog needs to remain on a lead throughout the photoshoot, that is fine. Most of the photographs you see on my website of dogs are actually taken on lead, but with a little bit of magic, I can make this disappear. The safety of your pet is the most important thing. Do let me know if your dog is nervous or unsociable around other dogs and I will choose a place that is quiet for the photo shoot. It is not only in the summer that I offer outdoor pet shoots - so please don't be put off by the cold, the rain or snow. Autumn/Winter colours are often magical for photographs. 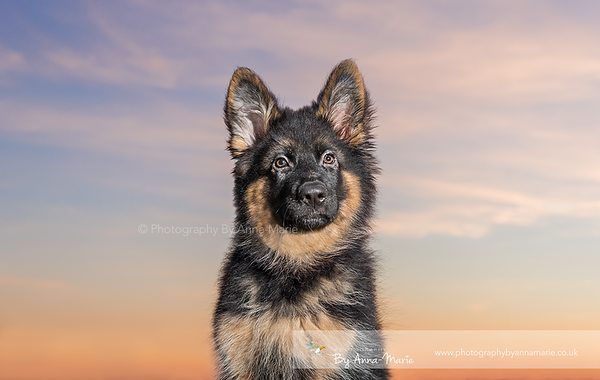 You can see more of my Pet Photography work on my Portfolio page. Please contact me here if you would like to book a session.